This post is part of the series “Faces of Plant Cell Biology”. In this series I am posting answers of plant cell biologists at all stages of their career to a set of five questions. If you are a plant cell biologist and would like to complete my questionnaire, please email me at anne@plantcellbiology.com. Seriously, please do – I am slowly but surely running out of colleagues to pester! 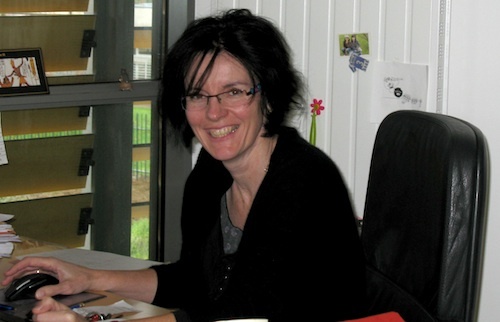 Today’s Face of Plant Cell Biology is Dr Nathalie Leborgne-Castel from the Université de Bourgogne in France. Nathalie was kind enough to allow us to use her fantastic tomography and plasmolysis videos in the Vacuole Song and you can watch the plasmolysis movie if you scroll down this page. My research deals with dynamics of plant cell membranes when plants are submitted to environmental stress. 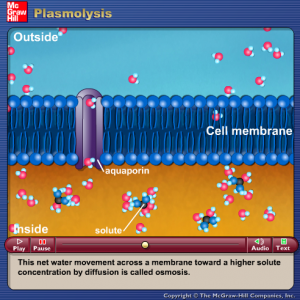 At the moment, I am studying the role of the plasma membrane (the dynamic interface between cell life and environment) during the interaction between plant cells and microorganisms. The best thing is when I have time to design and realize experiments (with the precious help of students and colleagues). The worst is the lack of time due to the intensive teaching in a French university and bureaucratic work. During my training at the University of Toulouse (France), I studied cell biology and genetics. I had the idea of studying immunology but I spent few months in a lab focused on the behavior of plant cell membranes under freezing stress. I was (and I am still) fascinated by the observation of the plant cells under microscope and by the plant cell plasticity. I was lucky to continue this plant project during my PhD that determined my route for other plant membrane projects in different laboratories. Spend time with my daughters Emma and Louisa. Reading and gardening (pulling up weeds is wonderful way to de-stress). Combat sport (as beginner) on Friday to switch off all worries accumulated during the week. Be curious and motivated. Have dreams and try to do what you like. 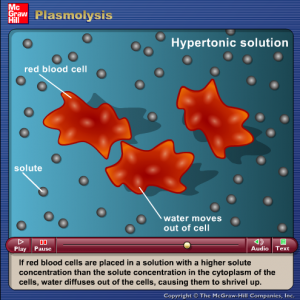 What are osmosis and plasmolysis? Check out this animation for a nice explanation.